Since 1950, Clark Pest Control has provided the finest pest control and turf-and-ornamental care experience you will find, anywhere. Couple that with the caring and drive required to take a small operation founded by two World War II veterans after the war to a thriving business with 26 locations that serve residents and businesses throughout California and northwestern Nevada. That's Clark Pest Control. We're proud to be one of the largest family-owned pest control companies in the United States – and the biggest in the west. We love our jobs and we take our Pest-A-Way® mission seriously. We offer premier customer service through highly trained, friendly technicians who are responsive and proactive. Then we go beyond these services to guarantee our work 100 percent. When you go with Clark, you're going with the best in pest control. Continuing follow-through: You'll receive Clark Pest Control’s year-round Pest-Away® pest management service for continual peace of mind and protection – and our grounds-care maintenance keeps your greenery thriving month after month. Guaranteed guard against termites: Our Termite Home Protection Service ensures that termites stay gone. Cutting-edge technology: Our licensed technicians use the most effective and up-to-date pest control and lawn care methods, materials and equipment. Humane approach: Whether we're removing pests or treating your lawn and garden, we employ the most humane strategies available. Peace of mind: Whether you need an audit, to have your building LEED-certified or certified for organic or kosher products, we can help. We keep detailed records and help you stay compliant with any regulations. Mindful of the environment: We have more GreenPro-certified technicians trained in integrated pest management (IPM) and green practices than any other pest control or extermination company. Clark S.M.A.R.T.™, or Sustainable Methods and Responsible Treatments: Savvy green solutions for all your pest control and lawn care needs. 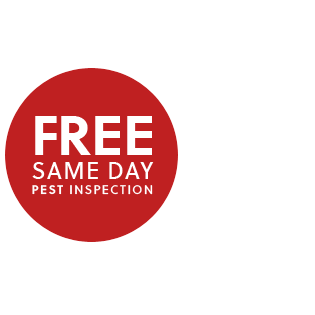 You Have Our Word: We guarantee 100 percent that your Clark Pest Control service will be done right, every time. If it isn’t, please let us know and we will make it right.